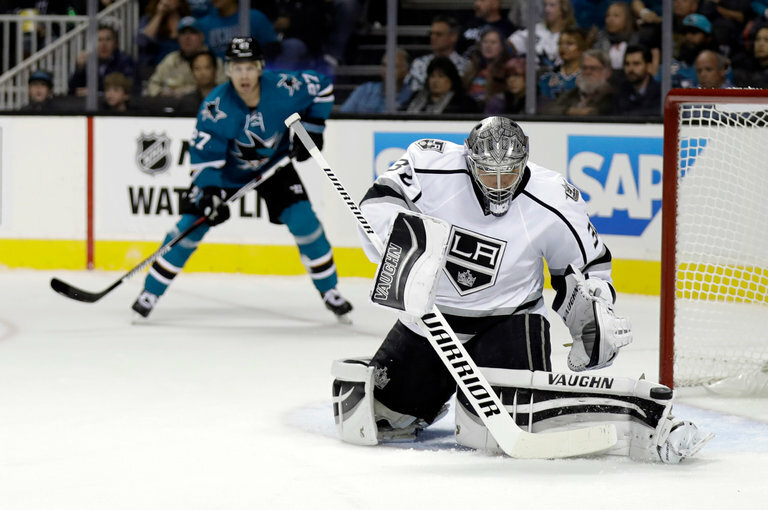 Los Angeles Kings goalie Jonathan Quick was placed on injured reserve with a lower-body injury. Se Ri Pak ended her Hall of Fame career in tears Thursday in front of her adoring home fans at the L.P.G.A. KEB Hana Bank Championship in Incheon, South Korea. It mattered little to the fans and players, many of them drawn to golf by Pak, that she shot an eight-over-par 80 and was tied for last — 15 strokes behind the leader Alison Lee — before withdrawing. Hampered by left shoulder problems, Pak, 39, said in March that this season would be her last. She stepped away as planned after the first round of the tour’s lone South Korean event, crying nearly throughout a retirement ceremony on the 18th hole. Pak won 25 L.P.G.A. Tour titles — the last in 2010 — and five majors, two of them during a rookie season in 1998 that gave women’s golf its biggest boost since Nancy Lopez. She was the youngest player to be inducted into the World Golf Hall of Fame when she was enshrined in 2007 at age 30. A Viral Video Found a Coach Asylum. Outrage Faded, but His Worries Linger. This Great-Grandmother Coaches an Olympic Champion. Now Let Her By. 2018 NBA trade deadline tracker: Who&apos;s going where?